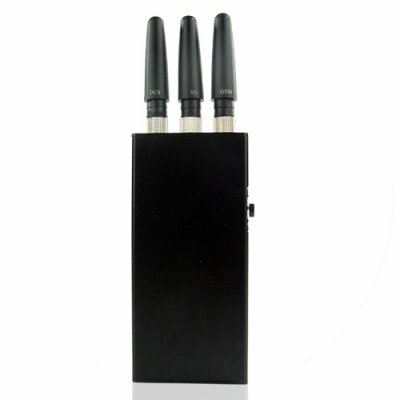 Successfully Added Broad Spectrum Cell Phone Jammer to your Shopping Cart. Mobile cell phone jammer with complete spectrum interference and long jamming range of up to 10 meters. If you are sick of all those phones going off, then this is the anti-gadget you have been looking for. This jammer system comes with a built in rechargeable Li-ion battery for hours of signal jamming, and with the included car power adapter, recharge and use this in your car as well as the office. Incredibly easy to operate, just switch it on and it will immediately start blocking CDMA, GSM, DCS and 3G to keep your immediate surrounds annoyance free. A revolutionary device available direct to you from Chinavasion at excellent wholesale prices. Order yours today! Note: Mobile Phone signal jammers may not be permissible to import into certain countries due to licensing of broadcasts or other restrictions. Please check your country's customs/telecommunications regulations before placing your order. Thank you for the fast, very fast service ! I had ordered and paid it Monday and receiced it on Thursday ! We are talking here from CHINA all the way to GERMANY in about 4 days. You guys are great. And the best is !!!!! It really works ! As soon as I had it in my hands ,I had to try it in the Subway . It did what it had to do , within seconds all the cellphones around me were dead !!! Thank you so much. Great product, best I can say is, when an abusive cell phone user is with in your hearing range, no longer is there a problem. Anyone outside your hearing range then your just hunting. I carry this product all the time and I can take out almost anyone. I did come across a couple snags where some phones did not get zapped. I bought the next level up, the listed high power without the GPS, I have no GPS issues. Great customer service, delivery (Canada) worked great !. Shhhh, I have to keep low. I carry both zappers and let me tell you, this small one takes out almost everyone in my circle, and the high power is the finisher for those 3G, Wifi that don't want to die, sorry -> I am in control now. Arrived super fast. Was told shipped on saturday from china and arrived by Tuesday in London. Amazing and works up to 8-10m. Great product, very happy. Works exactly as promised, and was delivered on time. received my "wireless LAN access point" today. 3 days via Fedex btw. gave it a few test runs. the one thing that has really impressed me, I decided to run the battery all the way down, then full charge overnite for more fun tomorrow. I placed the UNIT at one end of the home, my cell at the other end of the home, approx 40 ft... my cellphone is useless. I feel confident it will work at 50 ft + under good conditions. this thing works. get one and have some fun ! the looks on peoples faces are easily worth the price. as the Jamaicans say... We be jammin !!! !